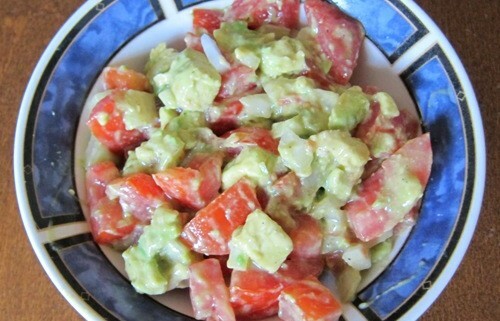 Here’s a quick refreshing salad you can make that uses just 3 ingredients: tomatoes, avocado and onion. For a portion for 2 people, you need 3 medium tomatoes, 1 avocado and 1 small onion. To make this super-easy salad, first you need to chop the tomatoes, and put the tomatoes and any juice that leaked out during chopping in a bowl. 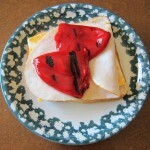 Next, peel and finely chop the onion, and add chopped onion to the tomatoes. Finally, peel and chop the avocado, and add the chopped avocado to tomatoes and onions. Sprinkle with salt and pepper to taste. For this salad, you don’t even need any dressing. 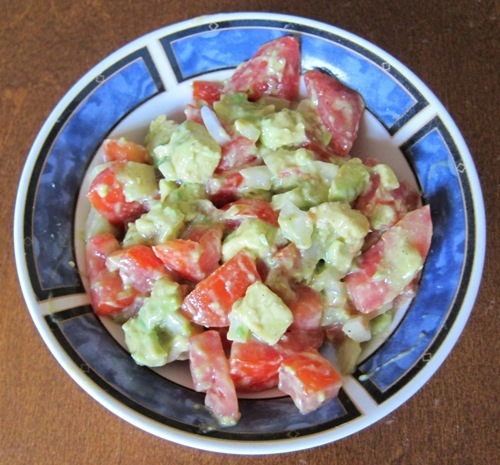 The juice from the tomatoes and the buttery avocado make an instant dressing right in the bowl! Enjoy the summer flavor from this delicious salad! 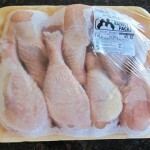 Is It Safe To Defrost Meat On The Counter?